Fairies, tiaras, magical balls, kings, queens....and more! 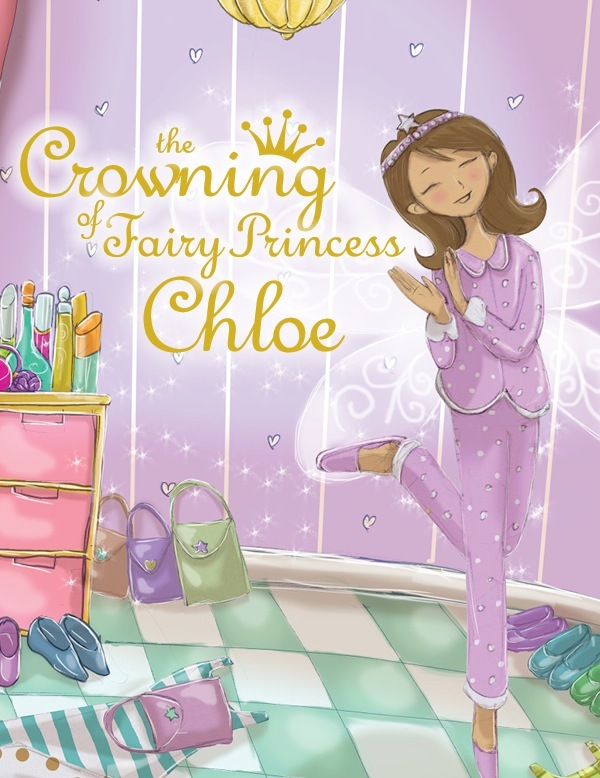 Watch your little girl become the new Fairy Princess of Fairyland, right before your eyes! THE CROWNING OF A FAIRY PRINCESS... It's Coronation Day! Watch your little girl's eye sparkle with delight as she is crowned Princess of Fairyland! This beautifully illustrated personalized book will transport your child to an enchanted forest filled with vibrant colors and magical creatures that will surely make her heart flutter! This 24 page storybook is stunningly illustrated by Dax Xenos Tee and written by Ria Romero Santos and Maria Natalia Mercedes Diaz. Each 8 3/8" x 10 3/4" professionally bound hardcover book is personalized throughout the text and illustrations which include the child's name, and the names of her relatives and/or friends, who are all invited to her Royal Crowning at the Fairyland Palace Grand Hall. As an added personal touch this book also includes the child's birth date and a printed dedication from the sender. This precious keepsake is a perfect gift for girls ages 0-12. The only information required to be able to order this gift is the child's name. All other information provided is optional. Although if provided, it would enhance the uniqueness of each gift created especially for the child. When ordering, customers have the option to upload a photo of their child to appear on the dedication page of the book.